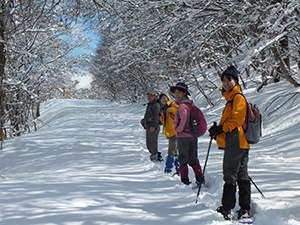 When you come to Hiruzen Kogen, we recommend staying for several days. 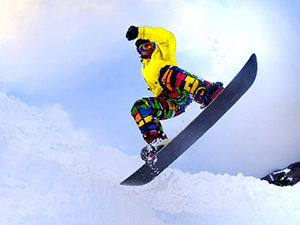 Thre are various ways to spend, and also we have plenty of tours with wonderful guides and good experience plans. Let’s enjoy the Horse Riding in wonderful nature! In the spacious nature, horse riding experience makes you feel like coming to a foreign country. There are some ponies too, so kids can ride easily and enjoy it! 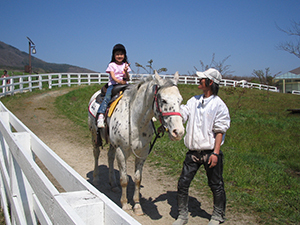 And also there is indoor horse riding and you can enjoy horse riding even in the rainy weather and winter season. It seems fun to get a license! Experience available on the day. There are various menus. For example, Two-seater riding course, Long distance course, License Acquisition Course. Cycling tour with a guide. There is a bicycle exclusive road of about 30km for one round in Hiruzen Kogen. 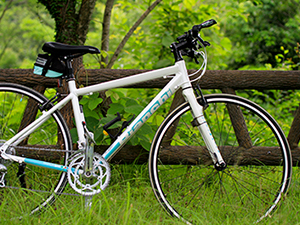 Let’s refresh by cycling while looking at the special view of Hiruzen. There are also bicycle rental facilities and a new guided cycling tour began this year. Cycling tour with tour guide 1person 3000yen. Cycling tour with tour guide. 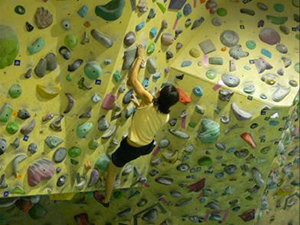 Let’s experience bouldering at low price! If you look up, there is a 15 meter high wall. Why don’t you once try challenging bourdering? There are low walls in the room, so kids can enjoy it too. It is also happy about a low price! 90yen/time Use only the boulder wall. Let’s make a wreath by choosing the best meterial of your choice. There are various dry flowers and blizzard flowers are lining up in the workshop, you can chose the best meterialof your choice and experience the wreath making! 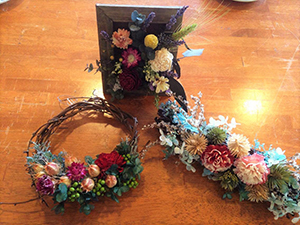 Recently, there are many customers who buy dried flowers as a material for handmade accessories. 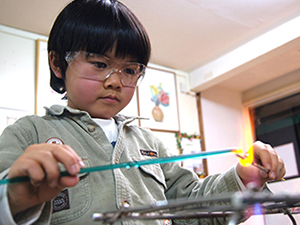 Making dragonfly balls (Tonbo dama) and stained glass experience. 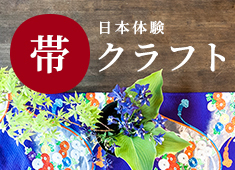 There are many kinds of experience menu to make a “Tonbo dama” necklace, candle pots and photo frames. Also you can make a night lamp with a stained glass. Everyone can be enjoyed it !! Let’s combine the glass of your choice and make a nice piece! You can enjoy it in rainy weather and in winter time. Only one in the world! 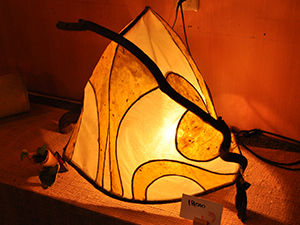 Making lamps of Japanese paper and wood. 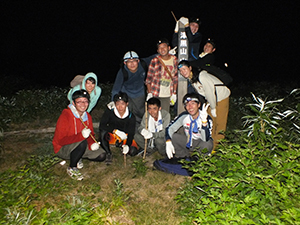 You can experience making lamps near by Kanba no Taki(Kanba waterfall) in Katsuyama area. It will take time to complete, but the moment of lighting the lamp with a light is very impressive! Please enjoy it for your memories of the trip. BBQ Barbeque at cottage deck. 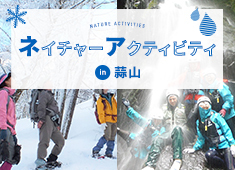 There are plenty of fresh and tasty ingredients in Hiruzen Kogen! You can enjoy gathering food while sightseeing. We have famouse Jersey cattle meat at the Jerseyland, fresh Hiruzen vegetables at Michino-Eki, Rainbow trout at Shiogama and fresh fish at supermarkets! The cottage is equipped with a deck and rental BBQ set. 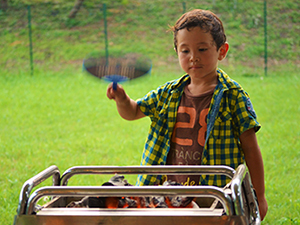 You can start BBQ anytime! It is very fun to spend in the great nature! Our owner Lucio is from Sicily Island. 「I want Japanese people to know genuine tasty and delicious olive oil!」 This is his thoughts and he started shop of olive oil in Japan. There is his olive oil course which is how to distinguish good olive oil, how to match with dishes, and he talks to the guests various things about olive oil in Japanese. 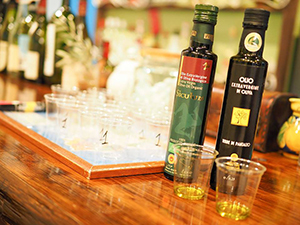 There is also tasting of olive oil and you can get 1500 yen ticket. 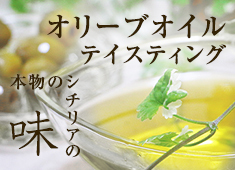 It is fun to learn about olive oil and let’s use it!! Our blueberry field has a lot of fresh blueberries and taste very good! The harvest while looking at Mt Daisen and Mt Hiruzen will be a special experience of your summer vacation. 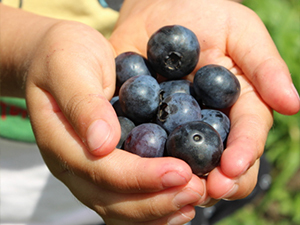 There is an all-you-can-eat menu and you can also buy blueberries for your souvenir. 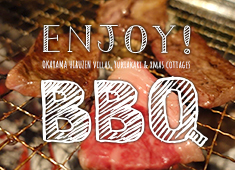 We hope you can enjoy your summer and have relaxing time here. Free for children in primary school and younger. Let’s feel the unusual world in the night snow shoe! 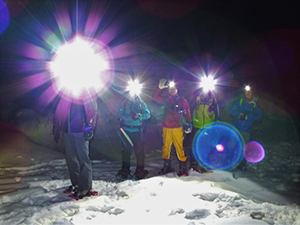 Let’s go to snowshoe exploration on a darknight! There is a snow street at night, but the guide is also with you. You can enjoy it in safty. There is a special experience for you to see the beautiful stars on the sky in a darknight and there is a also surprise present for you! Please check the HP for clothing etc. 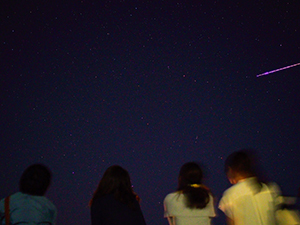 Air be beautiful and the starry sky in the whole sky to the night sky at quiet Hiruzen highland at night! The blaze and the Milky Way, too, can be seen ( It is due to the weather ). When the star can not be seen because of the bad weather, it is possible to explain indoors by the screen. I want to see the fishing light of the fishing vessel which occurs to Sea of Japan! Generally, it limited mountain climbing with the daytime but it anyway climbs at night. The knight climbing which it is possible to do because it is the tour of the local guide who knows landform completely The fishing light of the fishing vessel which occurs to Kurayoshi City Misasa-cho Tougouike and then Sea of Japan in addition to old Yatsuka, the upper reaches of the river, Chuka-son from the mountaintop ( binocular over there )…. The one which doesn’t waken should be able to be seen in case of not being night. Please check clothes etc on HP. Don’t you attempt to feeding to the fellow Hose Park friends? Horses are very pleased if they can hand out my favorite carrots! 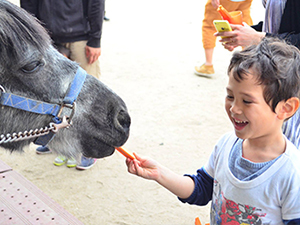 Feeding is the best for young children to get along with horses. The expression of the horses feeding on food is a must see! The adults are also excited. 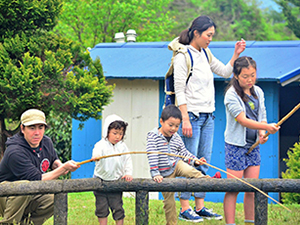 Let’s attempt to fish the fish which grew up in the beautiful water of ” Shiogama Reisen ” who was chosen as the national brand-name spring water hundred pieces! It is OK! The fresh fish that the con brio was swimming until a short while ago can be eaten by making it a charcoal maker with the clay portable cooking stove in the place, too. You can take it home and eat it with BBQ at night with this cottage. Do you touch the Jersey which grew up free from all cares at natural rich Hiruzen highland and don’t you attempt to squeeze delicious milk? Will it not be possible to make the heart of the feelings to cherish healthy eating habit consciousness improvement, the nature and the animal of it through the experience touches a direct Jersey and to attempt to squeeze it by itself rich? The milk which was squeezed in the place can not be drunk but there is a present of the specification pasture milk which is rare for the substitute! There is a subscription reception at the meeting place. 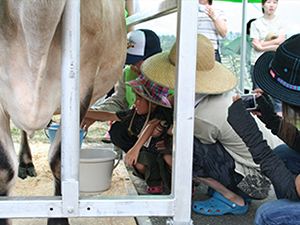 It presents one piece of milk to the participant. It plans holding three times a day. 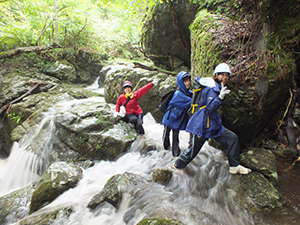 There are various courses such as the course of Mihira Mountain of about 1.5 hours of about 1000 m round-trip which it is easy for the beginner and the small kids, too, to climb and the about 6 hour course to traverse 2 seats in 3 seats of Hiruzen. 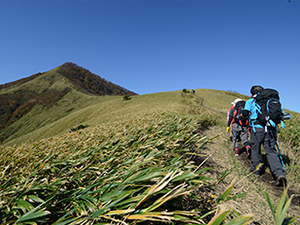 When there is a guide, while introducing a scenic area in addition to being safe, introducing a quiz and so on about Hiruzen – back Oyama’s nature and history fields and mountains grass, the guide and the explanation which is delightfully left in the heart which is peculiar to Hiruzen tour desk are delightful. The nature explores, walking in the river. The rich guide of the experience notifies the hiding spot with which the size 20?30 one waterfall ranges! Being bathed in a lot of negative ions at the waterfall and on the forest, it charges in the power from the mystic nature. There are a place, Yamanori ravine at the land of mystery where even the local person doesn’t set foot on Maniwa city Hiruzen Shitao. 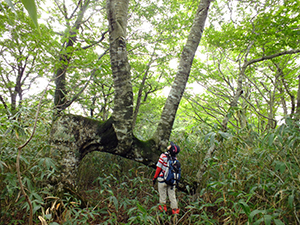 The rich guide of the experience guides the wildwood of the beech which spreads to the source part. In doing ” it rows Oyabu at the root curve bamboo ” which can not be seen even 3 m ahead sometimes and then sometimes, because it is the tour the route without which while using a GPS it does, the physical strength is a little necessary. Walking on snow by wearing a snowshoe and and sliding on it! The pure-white silvery snowscape searches the inside of the spreading pasture and the woods. The footprint of the animal and the animal supposes the animals which live there from the branch of the nibbled tree and the guide lets us know , The adult or the child is big excitement about the big snow slide! Because there are 4 courses , the beginner’s class, the intermediate level, the upper class, the instructor can be in the one which wants to master basics more, one more together which wants to be more brought along given instructions. Only the kids can attend a lecture. Being brought along, too, is early when learning from the basics! The school has a full-day tour, too. Very eyes in the national vacation village are a pasture from the spring to the autumn but are transformed into the plaza to become an aspect silvery snowscape when the winter comes and for the child to be able to enjoy sleigh play and a snowman, Kamakura making and so on. 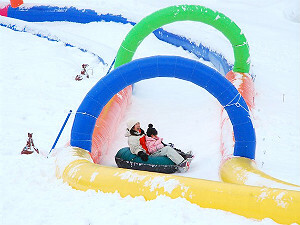 The play with snow, the sleigh to have arranged for the various playground equipment including the snow chuter by play and the special plaza is complete newly on ” the HIRUZEN Kids snow park ” ( charged )! There is a charged rental of the playground equipment such as the sleigh. It is possible to bring in, too.